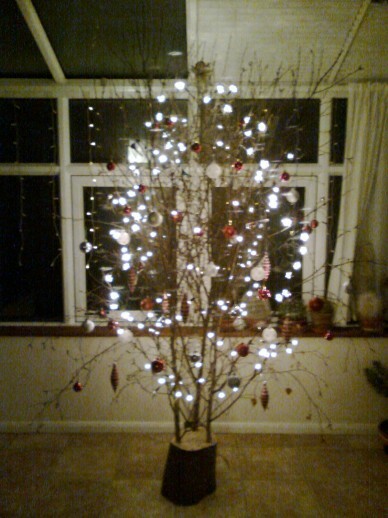 Here’s a great idea from Rod & Heather, instead of spending a small fortune on a christmas tree, they’ve decorated one of there own. Rod was cutting some birch so it was probably headed for the brash pile anyway. 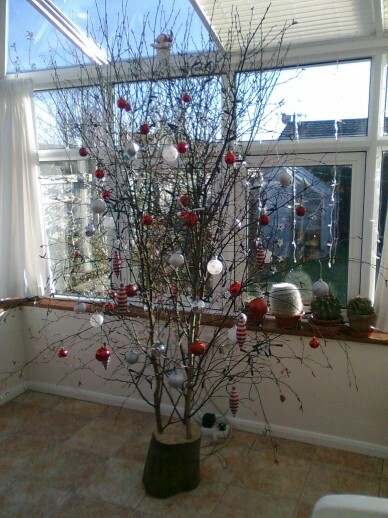 They think it must have been an old tradition in Sussex as one of their friends remembered her father always brought birch in to decorate at Christmas.